Two years after the death of Harun Farocki (Nový Jičín 1944-Berlín, 2014), this exhibition features the films and installations of an author who was also a film-maker, artist, critic and activist, and counted among the most important creatives of the second half of the 20th century. At the show, you can see a series of emblematic works that explore ways of working that respond to the demands of capitalist production, especially those that have demanded the mobilisation of more subjective and human aspects that previously remained on the sidelines. The notion of empathy, taken from a text by Harun Farocki, heads up the selection of works being shown at the Tàpies Foundation. 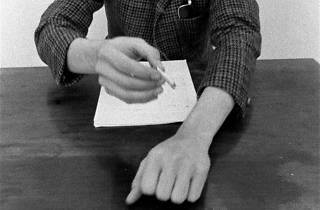 If, in the 1960s, Brecht's distancing effect resulted in the imposition of determinism and a desire for objectivity in documentary practices, towards the end of his life, Farocki questioned why the cherished word of 'empathy' had been handed over to the enemy, meaning the cinema and entertainment industry. It was necessary to reconsider and reappropriate it. This explains the particular concept developed by the author, which sees the camera present in places of professional training, business negotiations and work without judgement or stigmatisation. 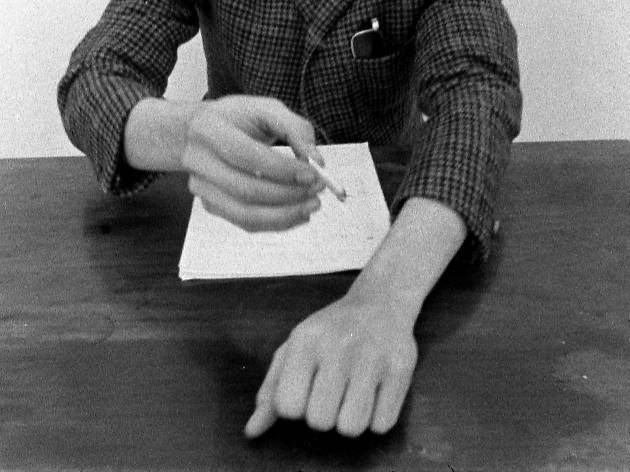 Farocki's films are testament to the meticulous training of a workforce, especially in those areas where interpersonal communication plays a key part.